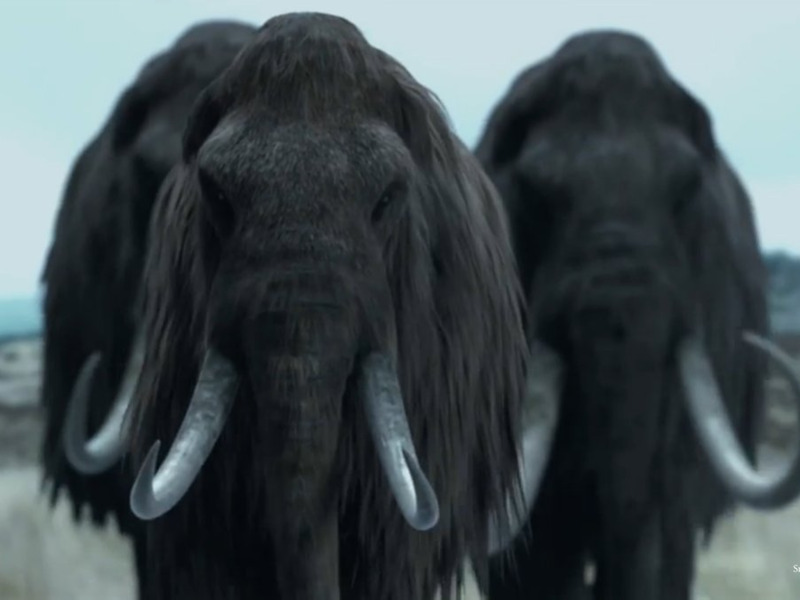 4,500 years ago the last Woolly Mammoth roamed the Earth. He and the rest of his brethren died off after the end of the last Ice age. 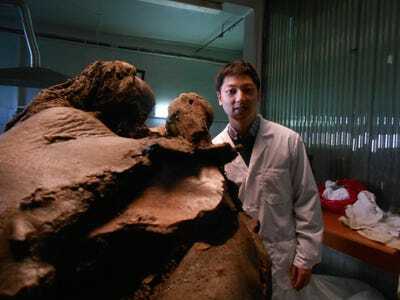 Researchers have found woolly mammoth remains in dried up rivers and lakes across the globe, but the vast majority are simply bits and pieces of dried out bones or fossils. Only a few remnants have been discovered with soft tissues like skin, flesh, and organs still intact. Scientists still don’t know what ultimately drove the animals extinct. 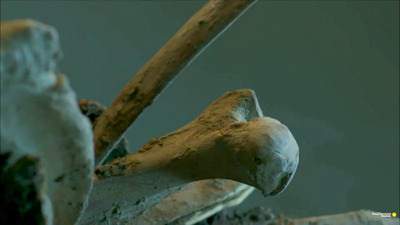 But the discovery in 2013 of an astonishingly well-preserved carcass of a Mammoth named Buttercup is now leading to new insight into these ancient and amazing creatures. 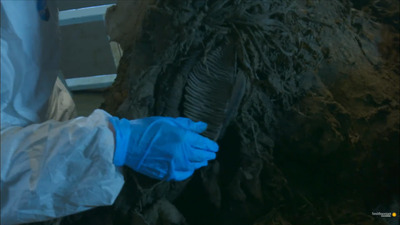 The fossilized carcass of Buttercup was dissected in a new Smithsonian documentary, called How To Clone A Woolly Mammoth. 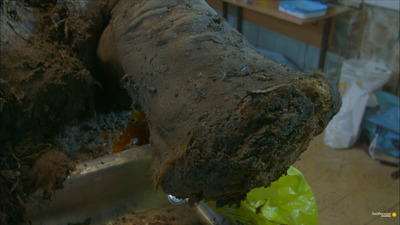 The film follows the scientists as they find out more about these ancient beasts than ever before. The one-hour special premieres Saturday, Nov. 29 at 8 p.m. Eastern Time on the Smithsonian channel. The team of experts are also talking about resurrecting these incredible creatures — an hugely controversial idea. Read on to learn more about Buttercup, why its body was so well-preserved, and what scientists hope to do with the remains. When a group of scientists heard rumours that the remains of a long-extinct mammal had been unearthed from the frozen ground on an island in northern Siberia, they rushed to the scene to see for themselves. 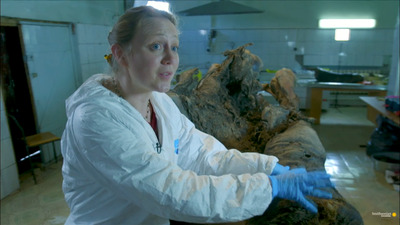 Source: Smithsonian's How To Clone A Woolly Mammoth. 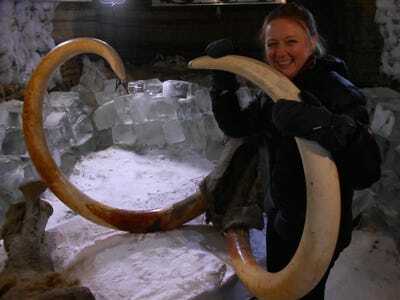 Yet as they arrived, the only evidence scientists found of an ancient beast lurking somewhere beneath the ground were were two giant tusks poking partway out of the icy Earth. Over the next three days, as the ice surrounding the carcass slowly began to thaw, the scientists realised what an exciting find they'd come across. The surprisingly well-preserved bones, muscles, teeth, and even some of its blood told the story of a woolly mammoth, a gargantuan beast that roamed the frosty tundra some 40,000 years ago. As they unearthed the animal, dark red blood oozed out of the carcass. 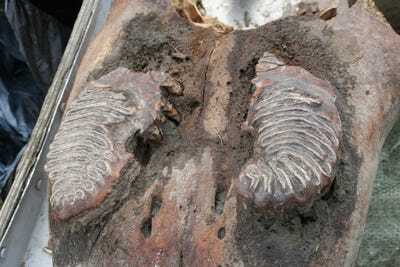 Three of its legs, most of its body, and even part of its head and trunk were still intact. Scratch marks on the bones revealed a grisly death: the animal was trapped in a peat bog and eaten alive by wolves. Despite its grim fate, the mammoth's well-preserved body may provide the best means yet for scientists to study -- and possibly clone -- the animal. Using carbon dating, the researchers determined that the mammoth, who they nicknamed Buttercup, was alive some 40,000 years ago. Buttercup's ancestors first evolved around 5 million years ago but went extinct about 4,500 years ago as the Earth began to warm. 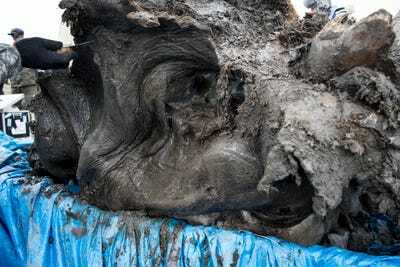 Source: 'Radiocarbon Evidence of Mid-Holocene Mammoths Stranded on an Alaskan Bering Sea Island', Nature, June 2004. Unearthing the animal's sizable teeth, for example, helped the researchers determine that Buttercup was no spring chicken when she died. Already in her mid-50s, the animal could probably only have expected to live another 15 years at the most. Scientists managed to get a few ounces of blood from Buttercup's body. It no longer contains blood cells -- they've been destroyed by age and time -- but it still holds Buttercup's hemoglobin, the molecule her blood cells used to carry oxygen throughout her body. 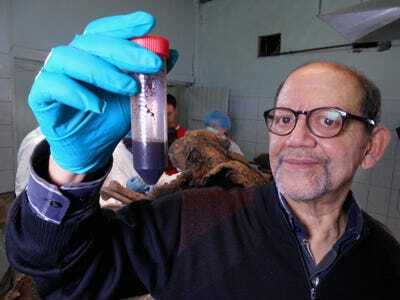 Mammoths had a special type of hemoglobin designed to keep their blood flowing at icy cold temperatures. Natural History Museum of London paleobiologist Tori Herridge helped examine Buttercup. The Mammoth stood about 7 feet and weighed about 10,000 pounds, or as much as an Asian elephant. The mammoth also had a pretty large tongue, which she used to chew meals of grasses and high-protein wildflowers called forbs. Scientists think that when these plants died out about 10,000-15,000 years ago, their absence helped drive Buttercup's relatives extinct. Buttercup also used her teeth to chew. The lighter-coloured lines show the outer edges of the teeth. Based on their condition, scientists determined that she was probably not in the best of health when she died. Some researchers, including biologist Insung Hwang, of the SOOAM Biotech Research Center, hope they can find enough of Buttercup's DNA to clone her. Others, including Herridge, don't feel so comfortable with that idea. 'Who is responsible for the mammoth that is produced? Is it them? Is it the wider world? Do we get a say in if they're doing it in the first place?' she said in the video. Hwang currently clones dogs at his lab in South Korea. Most of his clientele are wealthy Americans who want a copy of their recently deceased pets. They pay upwards of $100,000 for a cloned dog. 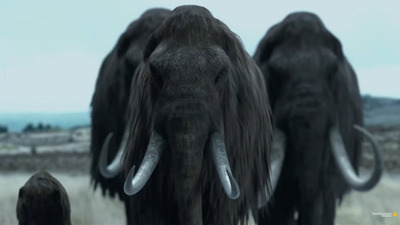 Hwang hopes to use basically the same technique to create a living woolly mammoth. He would retrieve one of Buttercup's cells from her skin or muscle. Then they'd transfer its DNA into an DNA-free egg cell and electrically shock it into replicating. 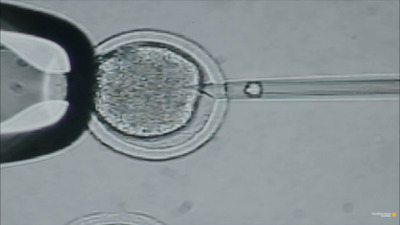 The new group of cells would be implanted in a surrogate mother, possibly an elephant. Hello, woolly mammoth baby. 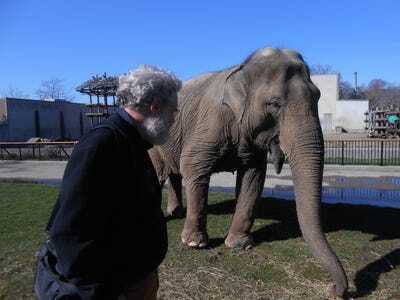 If they can't find enough of her DNA inside her carcass, Harvard geneticist George Church wants to combine her genes with those of an elephant to bring a version of the ancient beast back to life. 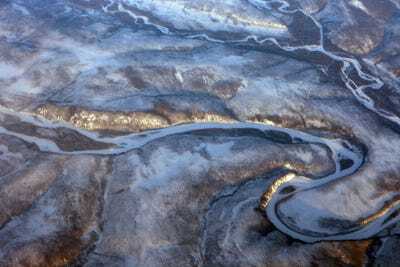 This controversial idea, called de-extinction, has polarised scientists, some of whom believe it could restore damaged ecosystems, and others who think it could destroy them. We don't yet know Buttercup's fate, but some want her to be the start of something new. 'It gives you hope that one day you're going to be able to see the mammal again,' Hwang said in the video. 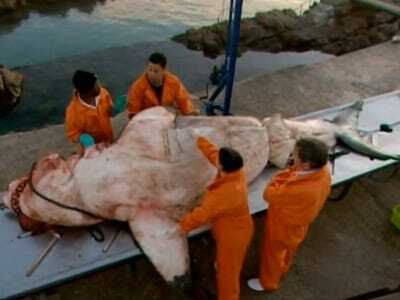 Now that you've seen inside a mammoth, check out the inside of a shark.